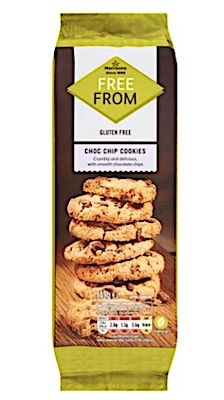 UK/London: Wm Morrison Supermarkets plc, trading as Morrisons, a Bradford, West Yorkshire, England establishment, recalls all current batch/lots of Free From branded Choc Chip Cookies due to undeclared Milk, a known allergen, source of dietary intolerance and possible trigger of Anaphylaxis, a serious and potential fatal situation, requiring immediate medical intervention. 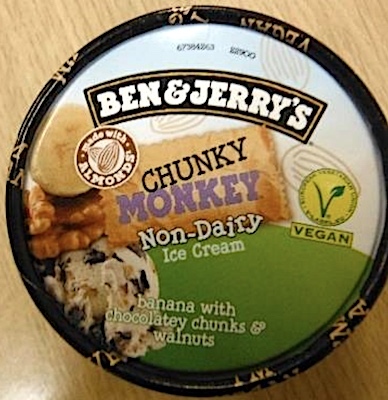 UK/London: Unilever UK, a Leatherhead, Surrey establishment, recalls certain batch/lots of Ben & Jerry’s Chunky Monkey Non-Dairy Ice Cream products due to undeclared Almond Nuts, Soya and Walnuts, all known allergens, sources of dietary intolerance and possible triggers of Anaphylaxis, a serious and potential fatal situation, requiring immediate medical intervention. 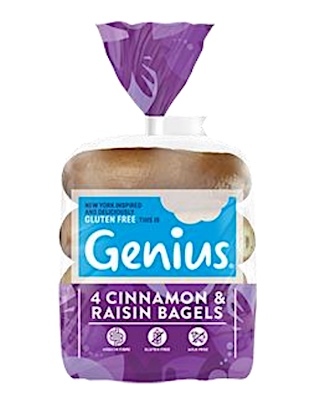 UK/London: Genius Foods, an Edinburgh, Scotland establishment, recalls certain batch/lots of Genius branded Cinnamon & Raisin Bagels due to undeclared Egg, a known allergen, source of dietary intolerance and possible trigger of Anaphylaxis, a serious and potential fatal situation, requiring immediate medical intervention. 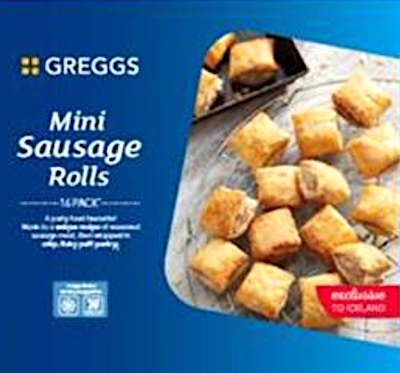 UK/London: Greggs, a Newcastle upon Tyne, a Tyne and Wear establishment, recalls certain batch/lots of Greggs branded Frozen Mini Sausage Rolls due to suspected plastic fragment contamination and consequential risk of choking, oral injury, internal ingestion and GI tract laceration damage, all serious health and safety hazards. 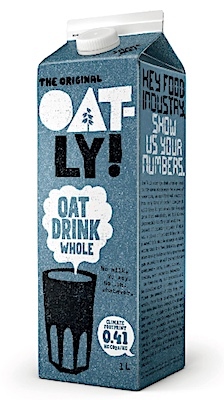 UK/London: Oatly UK, a Malmö, Sweden establishment, recalls certain batch/lots of Oatly branded Oat Drink Whole due to suspected metal fragment contamination and consequential risk of choking, oral injury, internal ingestion and GI tract laceration damage, all serious health and safety hazards.